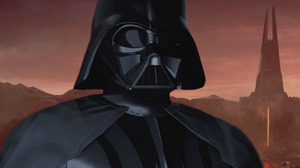 We Played Vader Immortal and Hung Out With Darth Vader in VR - Star Wars Celebration 2019 - WebGamer.NET | The Website for Gamer. We Played Vader Immortal and Hung Out With Darth Vader in VR Oculus Quest has a Star Wars launch game and it's impressive. Most impressive.